The recent appointment of new editors-in-chief at Egypt’s state-owned newspapers, announced by the Shura Council (parliament's lower house), brought Magdi Afifi, a conservative with little experience in literary journalism, to the helm at Akhbar Al-Adab (Literature News), the prestigious weekly newspaper. Fears are rising among Egyptian intellectuals, editors and journalists that democratic and creative freedoms at the newspaper may be lost, but reassuring messages from the new chief indicate the battle might not yet have begun. The appointment of Afifi, announced on Thursday 9 August, was met with huge apprehension by the newspaper’s editorial team for two reasons: first, his minimal contribution to the literary field, and second, his last interview with Sheikh Safwat Hegazy, a prominent Islamist supporter of the Muslim Brotherhood, in which he hailed Hegazy as a great figure. Many say the new appointment jeopardises the newspaper’s future. Some writers and activists have even suggested launching a new independent version of Literature News, financed by its writers. However, few journalists have said they will definitely leave. Khaled Fahmi, head of history department at the American University in Cairo and a regular columnist at the newspaper, announced that he will stop contributing his column, Robabekya. But it seems these were only initial fears, according to some of the newspaper's journalists following meetings with Afifi earlier this week, where he sent reassuring messages about the future. The editorial team held meetings with Afifi from Sunday, and with their previous experience of strikes, sit-in and other forms of opposition, their plans for the coming period are important. "The situation isn't clear right now. We have fears, but not from anything concrete. Talk of islamising the newspaper is exaggerated. Afifi is not from the Muslim Brotherhood after all. Our problem isn’t that, but rather that he's not good enough and doesn’t have the experience required to lead a newspaper of this sort," Nael El-Toukhy, a journalists at the newspaper, told Ahram Online. 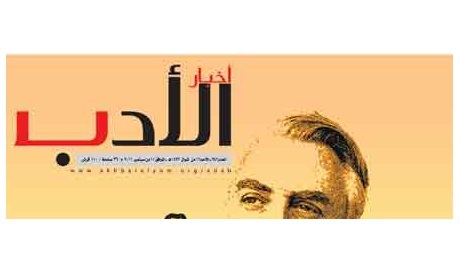 El-Toukhy explained that Afifi had reassured the editorial staff that the values of the newspaper would be maintained. "All we have to do now is to wait and see how Afifi will run thing," he added. Mohammed Shoair, the executive editor, said the main issue is to keep the values of the newspaper alive, which are its non-religious and non-military tendency, freedom of imagination, and freedom of expression. These values are not subject to negotiation with the new leadership, Shoair stressed. "So far we have received positive message from Afifi, but we still have to wait and see, because if he deviates from these values, we will stand up against him," he asserted. The situation indicates that the test is on, with concerns yet to be dismissed and positive messages yet to be fulfilled. The final outcome will not be determined by the new chief but by the editors themselves, who represents the core and heart of this distinctive Egyptian literary journal. It is part of conspiracy against freedom by who claim to be religious. Egypt is entering the Dark Age in gusto.